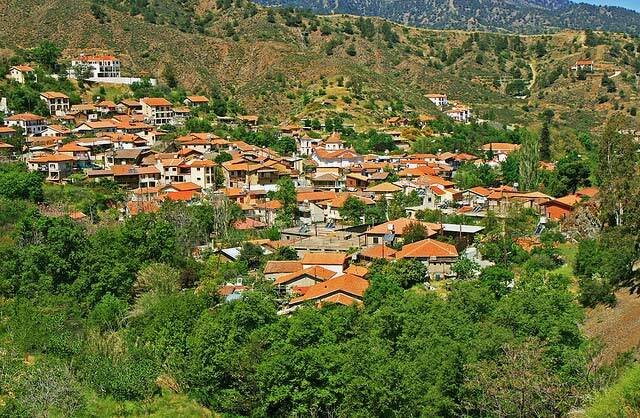 Kakopetria with a population of approximately 2000 is situated at the southern and highest part of the Solea Valley, 2200-2800 feet above sea level in the evergreen Troodos mountains – a place that makes Kakopetria the ideal spot for all seasons. 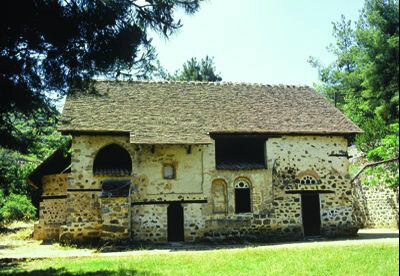 The Old Kakopetria village is built at the east bank of the Karkotis river which is full of old giant oak trees. 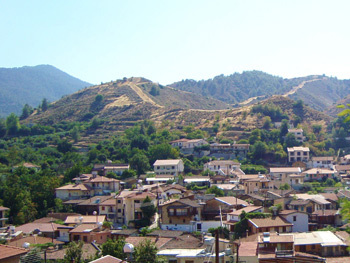 The name (Kakopetria) originates from the two words “kaki-petra” which means “bad-stone”. 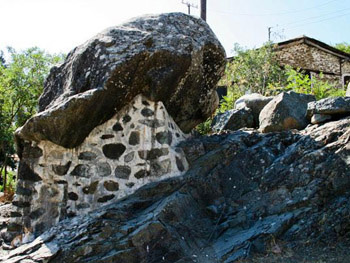 According to a legend the village got the name after a big stone (shown in the photo) came down from the mountain and killed a young couple during their wedding ceremony. 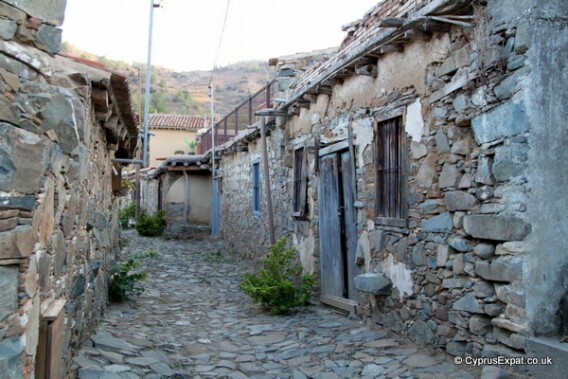 Of course the legend is far from the real picture the village gives once you enter the Big Arc at the entrance of the village with its traditional wooden-stone houses and their balconies hanging from the mountain and its happy welcoming people. The natural environment, the historical monuments, the entertainment places, the night clubs, the swimming pool, the stadium, the market and the short distances to all sites of interest in the area, leave no other choice as the place to stay. 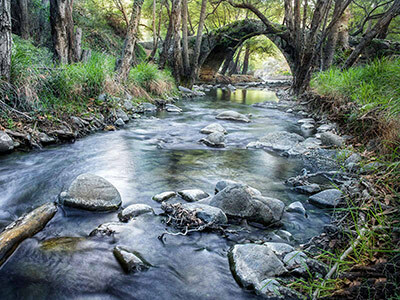 Kakopetria is also the right place to enjoy long walks on a scenic background and for developing your inspirations in photography or painting. 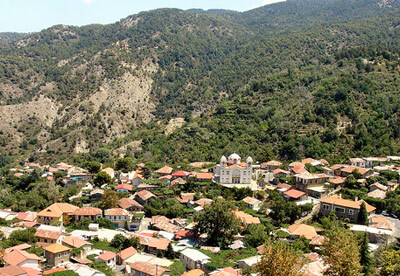 Kakopetria is only 50km from Nicosia the capital, 50km from Limassol the 2nd largest city in Cyprus, 30km from Kykkos Monastery and 15km from Mt. 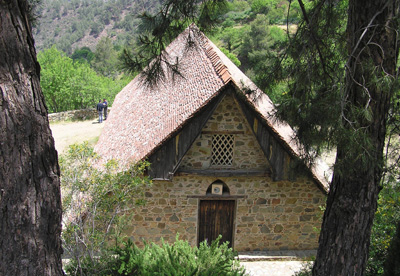 Olympus, the highest peak of Troodos with the skiing centre and the best view of the island. Staying at the Linos Inn you will have the opportunity to take a stroll at the narrow stone-paved alleys and visit the old flour mill just below, at the bank of the river.